Rita and Marcel’s Marrakech wedding was destined to be. Rita is Moroccan and based in Casablanca and Marcel is German with a love of Morocco. When the couple decided to host 400 of their friends and loved ones, treating them to a destination wedding in Marrakech was the obvious choice. They selected the exquisite Palais Namaskar as the venue. The site sits on 12 lush acres, and offers panoramic vistas, scenic lakes and private villa accommodations in a luxury setting that looks out on to the Atlas Mountains. It was the perfect setting for bringing to life Rita’s Boho Chic wedding vision. 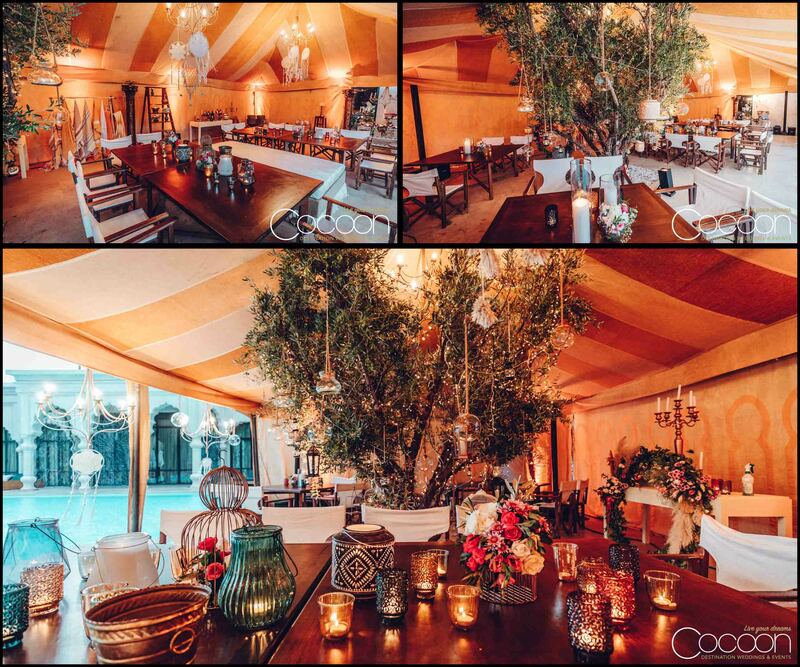 In the eyes of our experienced design team and wedding planner in Marrakech is always beautiful and never disappoints. However, even we were delighted with the final design and execution as every element held special meaning. 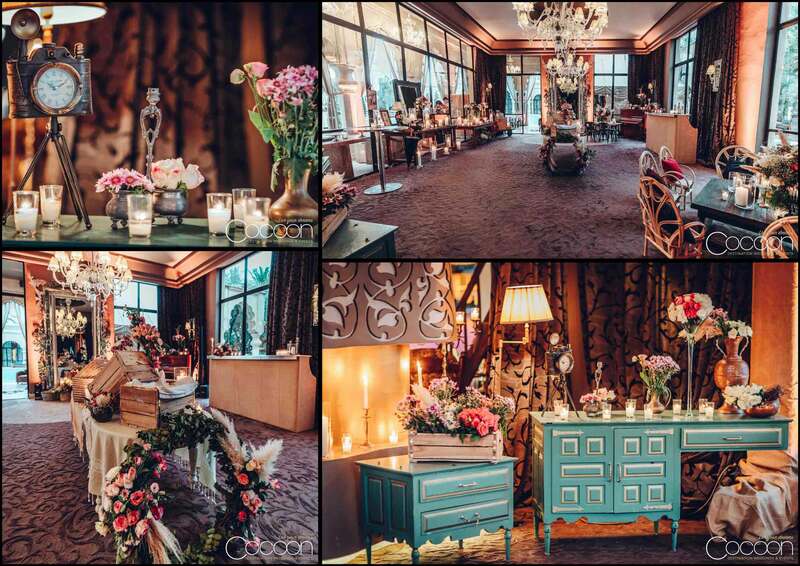 Adhering to the Boho wedding theme, we first decorated the venue for the welcome dinner party, using many different vintage furnishings and vessels. 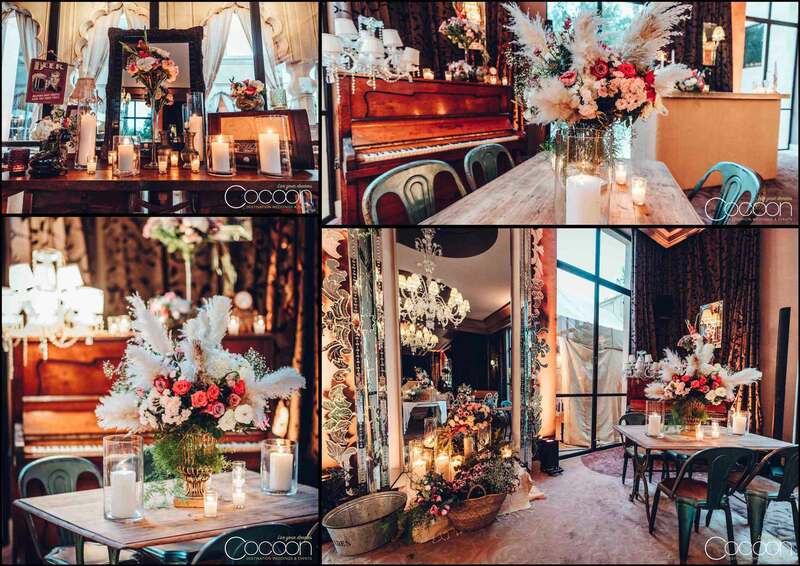 We spared no detail as we incorporated floral designs and décor throughout the property, from the chandelier and candelabras hanging from the trees, to the piano, commodes and the baths full of flowers. We even designed a charming arrangement in an authentic antique Coca Cola cooler! 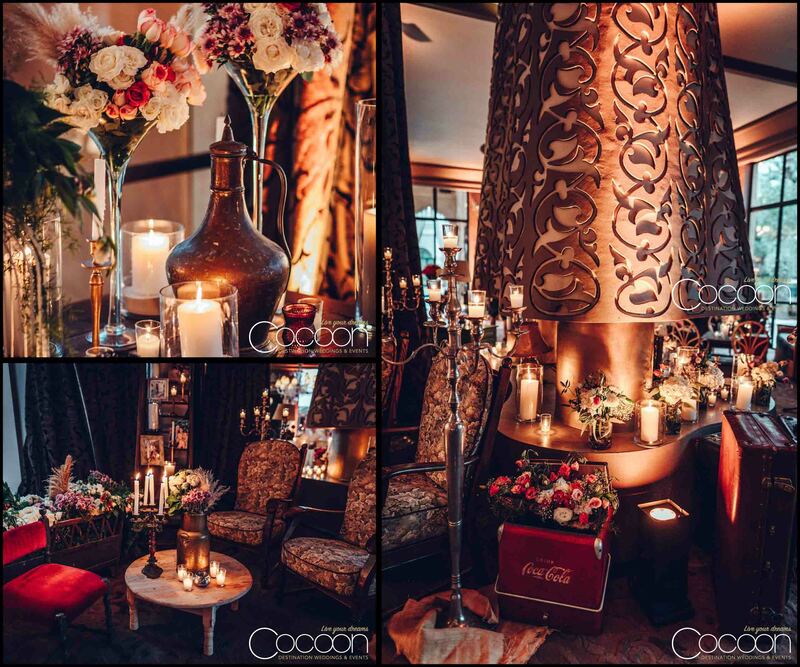 The breathtaking main event featured a dramatic entrance for guests through a rainforest alley and candle walls. We covered the Namaskar gardens with 10,000 candles, all surrounding the dinner area. Seating included comfortable lounge zones, traditional guest tables, and high top bar setups to create a dynamic and relaxed atmosphere that encouraged mingling and interaction. During the celebration, Rita and Marcel changed caftans, enjoying two dramatic entrances on decadent amarias or traditional roofed platforms. They danced long into the evening with their guests to a live performance by a group of five vocalists from France and Morocco.